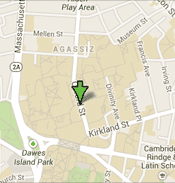 Harvard University is committed to conducting research in the safest possible environment. Safety ultimately depends on the vigilance and concern of each research group, with the Principal Investigator bearing the primary responsibility for appropriate safety procedures and their implementation. To aid in this effort, SEAS established a standing committee on safety in October, 1983, consisting of representatives from all of the major research laboratories and members of the School's administrative and support staff. Each member of the safety committee is a Safety Officer with the responsibility of implementing safety procedures and encouraging safe practices in their areas. Since some safety questions can be open to personal interpretation, situations that cannot be resolved locally are brought to the attention of the Executive Committee of the Safety Committee. The Executive Committee includes the Associate Dean of the School, the Chair of the Safety Committee, SEAS Facilities Manager, and one or two other individuals. Principal Investigators ultimately have the responsibility for safety in their laboratories; the Safety Committee, under authorization from the Dean of the School, acts in support of the Principal Investigators. Safety Officer work to develop safety procedures, educate research personnel, identify safety problems, and implement the safety program. Safety is obviously everyone's responsibility and, in the end, all personnel must work in accordance with accepted safe practices and report any unsafe conditions. Dr. Anas Chalah serves as Director of the SEAS Safety Program, SEAS Safety Committee Chairman, and the SEAS/Harvard Environmental Safety Compliance Officer (ESCO). He is also Director of Instructional Laboratories (undergraduate teaching labs) at the School of Engineering and Applied Sciences (SEAS) and Lecturer on Engineering Sciences at Harvard University. He leads a team of engineers and collaborates with faculty to create an environment that encourages hands-on engineering education. As member of the research and teaching senior executive team, he applies new pedagogical methods in developing experimental and design-based activities as well as supporting SEAS's growing presence in biological and environmental engineering. Chalah serves in Harvard’s Teaching and Learning Consortium that provides policy recommendations for University leadership on substantive issues of teaching and learning as well as academic strategic planning. 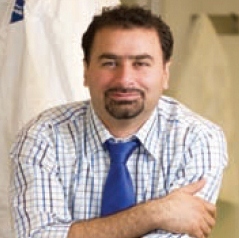 Dr. Chalah received his PhD in Chemistry from the University of Massachusetts, Amherst. His postdoctoral research at Harvard Medical School and Beth Israel Deaconess Medical Center in the Cancer Biology department focused on understanding the switching mechanism between the cellular survival pathway and the programmed death pathway. He has also served as the Lab Senior Director of the undergraduate Chemistry Department at UMass Amherst, where he directed six labs and supervised several teaching assistants and undergraduate students. He also worked as a manager at OMO/Unilever International.